Hey ladies – if you haven’t noticed, or are walking around with your eyes closed…the beard is back in a big way! And it’s better than ever. And we’re not talking trimmed and styled; today’s beard is bushy and bold. This growing trend for guys is just that – how long can they grow it? Dubbed the Hipster Beard, it’s become the new “accessory” for men. Beards are meant to be healthy-looking and well cared for, and Gibs, has manned up. Beards are meant to be touchable and sleek, not dry and dull. 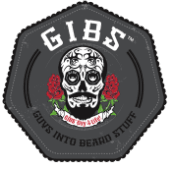 Gibs Beard Oils are the answer to a man’s scruff. Pick from three varieties all packed with the best beard-beautifying ingredients. Argon and Olive Oils soften and smooth out the hair. Sunflower Oil protects and strengthens even the manliest man. 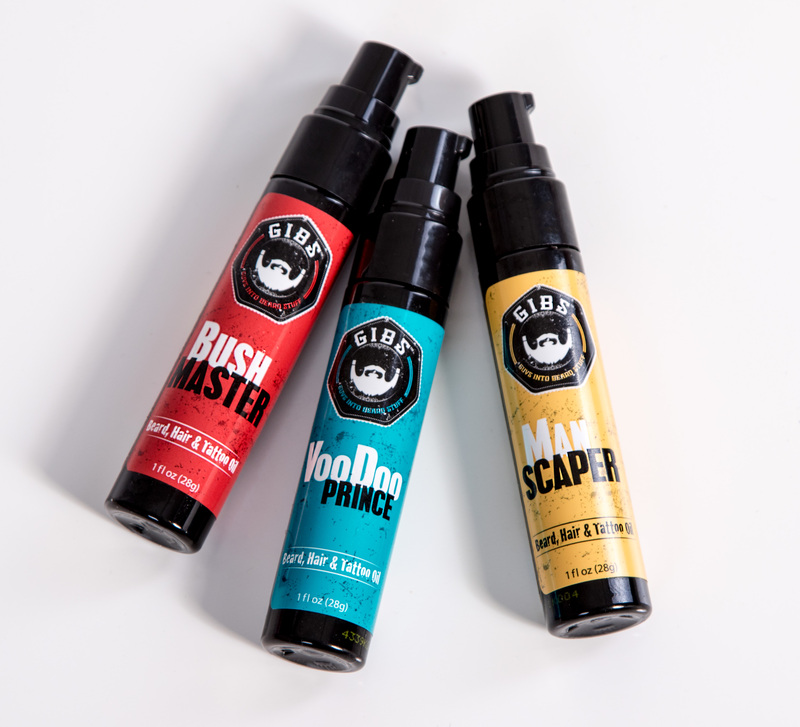 Passionflower and Copaiba Balsam moisturize and reduce “beardruff.” VooDoo Prince, Manscaper and Bush Master tame the mane while promising to be liked by the ladies, too. They have light scents for his softer or sexier side. VooDoo Prince has hints of Bergamot, sage and sandalwood. Manscaper is infused with cinnamon, leather, vetiver and musk. Bush Master is bright with grapefruit, Tobacco flower, saffron and cedar spice. Is your dude inked? These awesome oils also work miracles on tattoos, to refresh and recharge. So, my gal pals, what do you think? Is this growing men’s fashion statement hot or not? Are you on the beard bandwagon? I’d love to get your opinion… Tell me what you think.